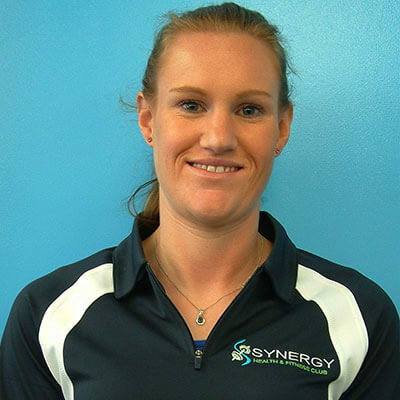 Sarah has had over 7 years of theoretical and practical experience in the health and fitness industry in both Wellington and Auckland, gaining a variety of experience as a successful personal trainer and group fitness instructor. Fitness and sport have always been important aspects of Sarah’s life and in 2008 she took the initiative and using her knowledge and willpower, transformed her lifestyle. She successfully lost 30kg after changing her eating habits and by engaging in regular workouts. With the benefit of this personal experience, Sarah now thrives on helping others who are seeking similar lifestyle changes. Sarah’s approach to training is to welcome everyone in the door and to listen to their story before engaging in any exercise. She believes in short, sharp, high intensity training sessions, catered to different fitness levels. Sarah especially enjoys working with and educating clients who want to lose weight, tone up and/or increase their fitness levels. She will motivate, encourage and systematically work with clients through the different stages of their journey towards achieving their specific goals. “What you put in is what you get out”.